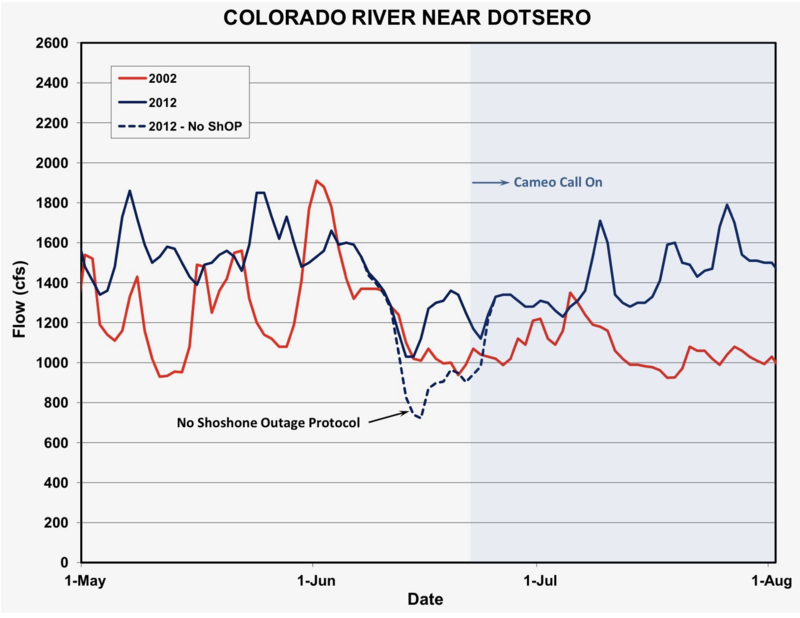 The Shoshone hydropower plant on the Colorado River east of Glenwood Springs was not producing power for most of last week [April 7, 2019], but regional water managers went with the flow and — thanks to an “outage protocol” — honored the plant’s senior water rights anyway. Most discussions involving water supply or quality require a good examination of historical perspective of water development. For this reason, understanding the system by which water is and has been allocated in Colorado since statehood, is a good starting point. Water in Colorado is allocated as a private property right through a system referred to as the Appropriation Doctrine. 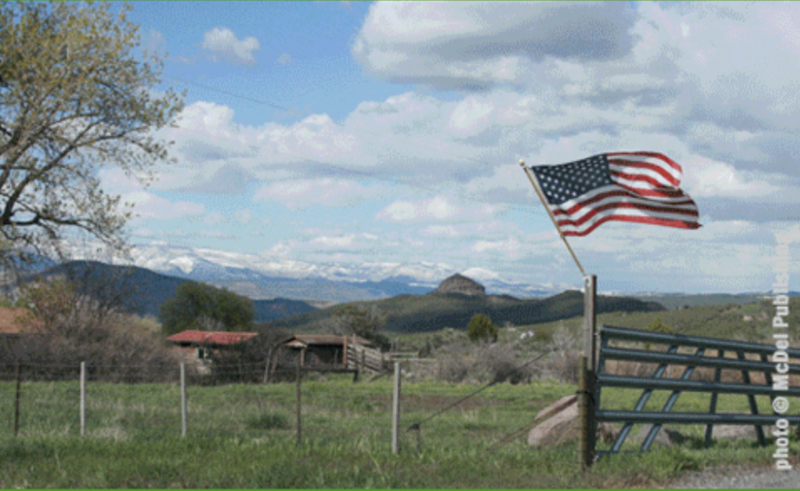 It is the only arid Western state that utilizes a pure form of this doctrine called the “Colorado Doctrine”. This doctrine is enshrined in the state’s constitution. It is a constitutional right for the citizens of Colorado to an appropriation of water based on its beneficial use. Although many legislative statutes deal with water appropriation and use, these all rely upon, and must comport, with the basic constitutional right granted the citizens of the state. This article is not intended to delve into the Appropriation Doctrine, except to point out that water rights and decrees are granted as a private property right. In fact, this system is automatically designed to apportion available water supply without undue interference from government, except for the administration of the existing water decrees or through the water court. In 2005 legislation was passed creating the inter-basin compact committee and the nine basin roundtables. The basins utilized the Statewide Water Supply Initiative (a project to calculate the available water supply compared to demand –a needs assessment) to identify the projects and processes needed to address any water supply gap out to the year 2050; for all uses– municipal, industrial, irrigation (agricultural), environmental and recreational. Water entities and individuals were involved in each basin throughout the state to develop these plans. 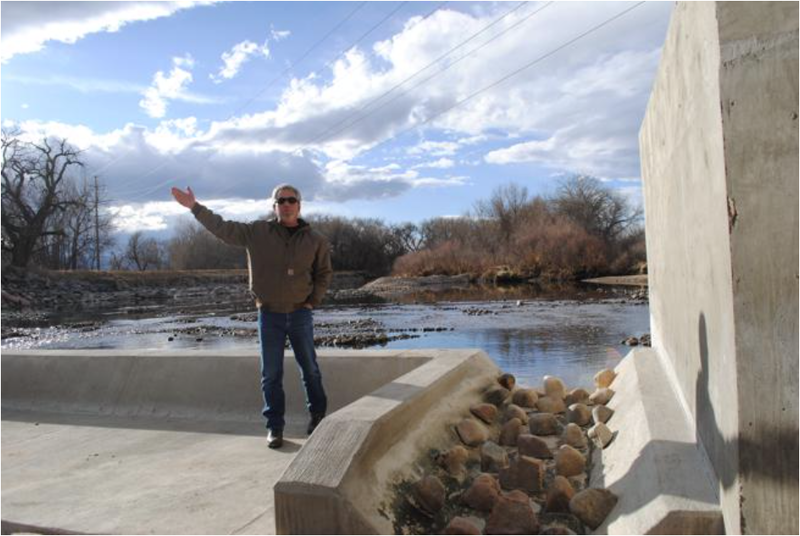 Projects were identified and some were funded in part with grants from the state’s Colorado Water Conservation Board. 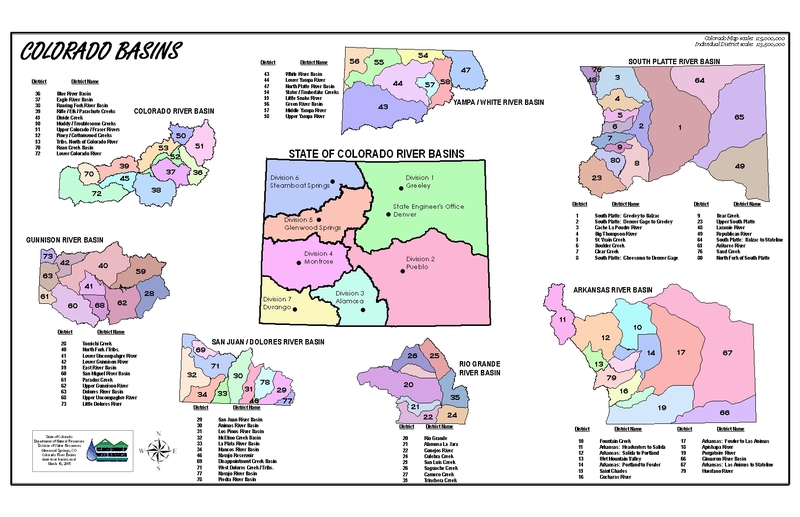 The Colorado Water Plan was developed from these plans and processes. These projects have gone a long way to make available the necessary water supplies for the future. Many of the projects are ongoing and more will be needed to meet future needs. Colorado is an arid state with future shortages forecast in the higher growth regions. In the Arkansas Basin, many junior water rights were established during high precipitation periods. Due to this, the Arkansas Basin today is considered an over-appropriated basin meaning that on average there are more decreed water rights than water available. Most of these junior water rights are decreed for irrigation use in agriculture. In the Arkansas Basin shortages are forecast for all water uses. 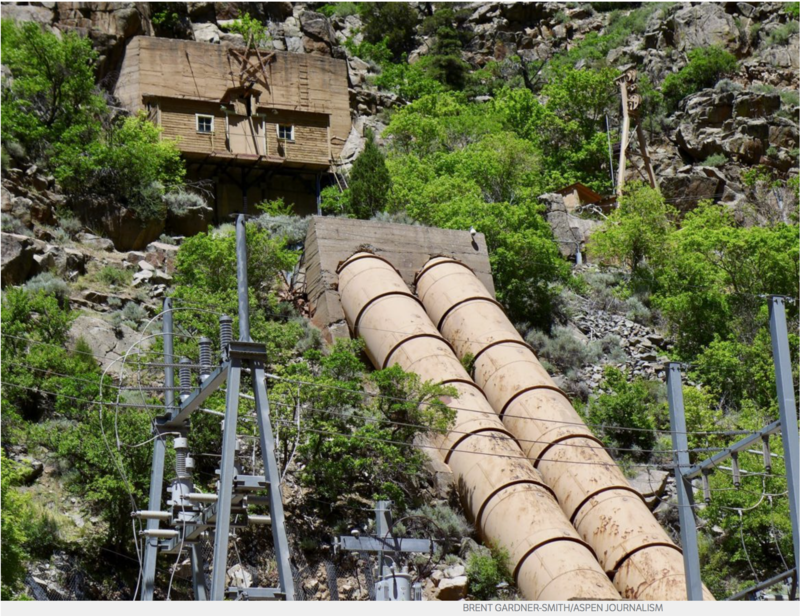 The Colorado Water Plan is a collection of the ideas and projects on how we can meet future water demands. Meeting the future need revolves around developing new Colorado River Supplies and Alternative Agricultural Transfers coupled with storage. The Colorado River normally has water that is unused and could be utilized to fill the gaps in the higher growth regions. 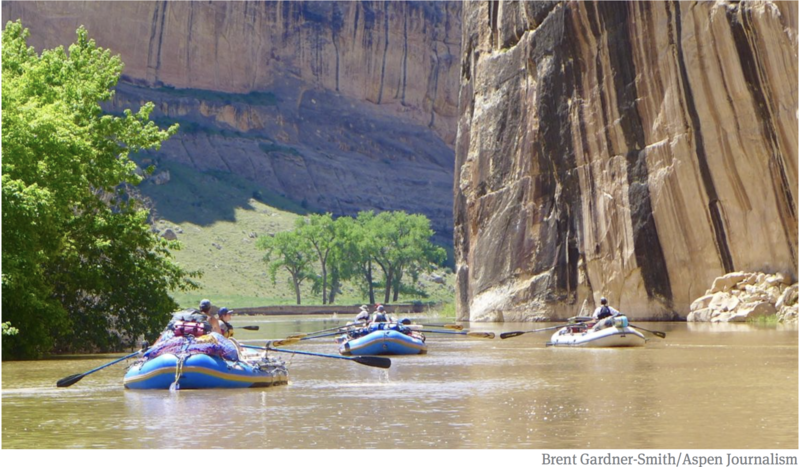 Presently Colorado is well ahead in meeting its Compact obligations on the Colorado River, despite unsubstantiated claims from some state politicians and the administration that Colorado may be unable to meet its obligations. Agricultural irrigation uses 80 percent or more of the available supply statewide. Some of these uses could be temporarily interrupted through court approved Lease-Fallowing agreements, and the water owner compensated, to meet shortages in drier years. In wet years existing storage and new storage could be utilized to save the excess for drier times. Storage projects, including alluvial storage, need to be built to meet the future needs. Water storage operations could be adapted to meet multiple uses for stream management, to meet increased demands for the environment and recreation. Through the existing Appropriation System, the above plans and others are underway to meet this future need. All this can, and should, be completed through the Colorado Doctrine of Appropriation, a strong legal framework to guarantee the security, reliability and flexibility in the development and protection of water resources. 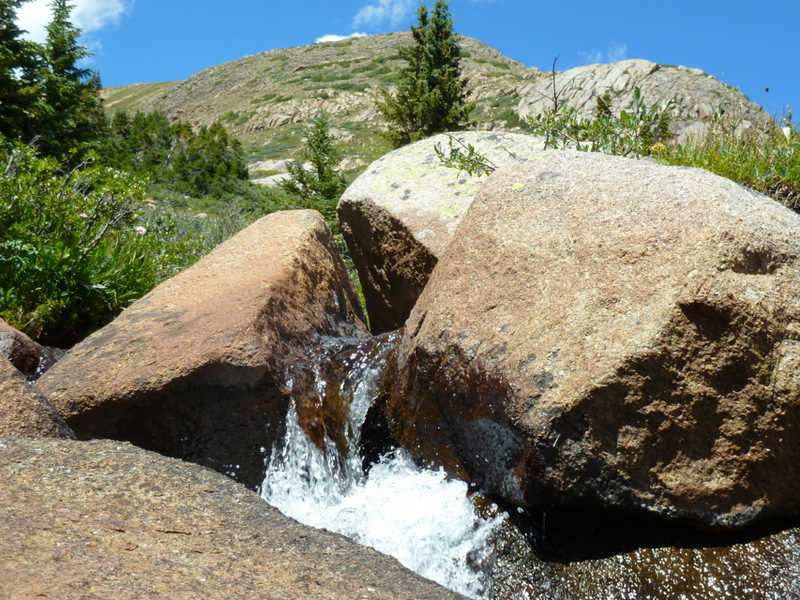 In terms of water supply, the greatest threat for the future would be a loss or erosion, through legislative or administrative action, of the time-tested Colorado Doctrine of prior appropriation. Actions are underway to use the water plan as a framework to advocate for the use of policy to appropriate water. Using policy for water appropriation would give the administration and legislature a pathway or initiative to utilize legislation, in lieu of the more deliberate Appropriation system that is designed to protect existing water rights from injury. This strongly suggests that the legislature and administration may attempt to act upon perceived crises to garner support to move future appropriations or changes of current water use through legislation instead of the water court system. Already underway is a Demand Management Plan that will allow administrative policies to transfer water rights from agriculture through Deficit Irrigation, or by utilizing an undefined process termed “Conserved Consumptive Use”, to Lake Powell, or to municipal use. In the Arkansas Basin most irrigation is already in a deficit so there is no water to be saved. Under Colorado’s pure form of prior appropriation, in low flow periods, water rights are curtailed automatically to force reductions in use. There is no need to use state policy to create conservation. The frightening part of these actions is that, if successful, the only way for water right owners to protect themselves from injury will be expensive court action. 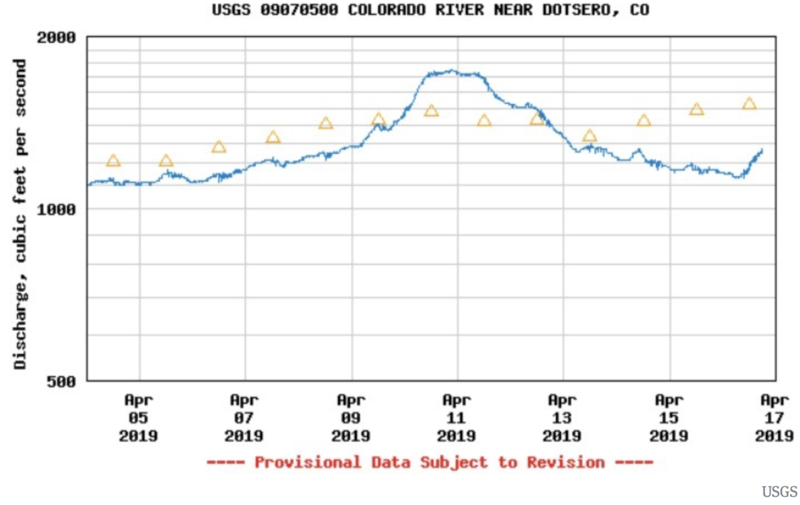 If legislation is successful in adopting the concept of “Conserved Consumptive Use” it is possible we will see lower flows in the Arkansas River due to a reduction in trans-mountain diversions. These diversions support all uses in the river, such as the voluntary flow management program. Instead of water flowing to the Arkansas River, some may flow down the Colorado River to Lake Powell for storage and eventual evaporation there, under a plan called Demand Management. In the Upper Arkansas Basin water quality has been addressed is various ways. The Arkansas River was polluted by mining runoff and is normally affected by natural geologic formations. Most of this pollution has been cleaned-up, and today there are large sections of gold medal fishing. Studies conducted by the US Geologic Survey have concluded that most of our ground water is of good quality. These are good things. But the threat to water quality from sediment runoff from burn areas in our forests are real. Due to the beetle infestations and decimation of the forest stands in the US Forest lands, fire is more likely and has occurred. The after effects of fire is larger than normal storm runoff. This will, and has already caused, heavy sediment loading on our streams and the Arkansas River. The Upper Arkansas Water Conservancy District (UAWCD) and the Arkansas Basin Roundtable is working with the US Forest Service and local entities to address some of these areas. Locally, the UAWCD is working with the Forest Service on a pilot project to remove beetle killed forest stands and make it a commercially viable resource. If successful, this may be part of the solution. In the lower part of the Upper Arkansas River Basin, in Eastern Fremont County, there is a geologic formation that contains selenium that contributes to contamination in this part of the Arkansas River. At this time simply identifying these areas is a challenge, but it is being worked on by the US Geologic Survey. Most of this type of contamination primarily affects the Lower Arkansas Basin. Delivery of good municipal drinking water supplies is being undertaken by the South Eastern Colorado Water Conservancy District, with the construction of a pipeline from Pueblo Reservoir to the Lower Basin communities. The concept of Colorado’s system of Prior Appropriation, “the Colorado Doctrine”, was first established in the “gold camps” of the late 1850’s. The concept was first put into practice in the “gold camps” of California and came to Colorado with the “miner’s courts” established by the original “prospectors” in the territory. And yes, the Water Commissioner position came before the creation of the State Engineers Office as well as the position of “Superintendent of Irrigation”, today’s Division Engineers. Also in July of 2004, water commissioners were invited to attend and participate in the annual Water Workshop, at then Western State College in Gunnison. The title of the ‘o4 Water Workshop was “Technology, Science (including the Dismal Science, and Changing Politics of Water”. So after 15 years, perhaps, it is appropriate to inform and educate the water users and citizens of Colorado as to the public servants that serve them so well. I have attached my outline of the presentation I gave out the “04 Water Workshop” regarding Water Administration when I was then the Water Commissioner in WD-36. Proposed water legislation that might have upended Arizona’s Colorado River drought plan was set aside by a leading Republican lawmaker following a day of tense debate. The dispute over the bill pitted House Speaker Rusty Bowers, who introduced the measure on behalf of a group of farmers and ranchers, against the Gila River Indian Community, whose leader threatened to pull out of the drought deal if the bill went forward. Bowers’ decision to yank the bill from consideration on Tuesday appears to clear the path for Arizona to take a series of steps to finish its piece of the Drought Contingency Plan, which involves taking less water out of Lake Mead to prevent the reservoir from falling to critically low levels. But even with what had seemed a difficult snag now somewhat smoothed over, Arizona still needs to finish a list of about a dozen water agreements to make its piece of the Colorado River deal work. And Arizona’s top water managers said they expect completing those deals will take longer than a March 4 deadline set by the federal government. If Arizona and California miss that deadline and don’t sign the Drought Contingency Plan, the seven Western states that rely on the Colorado River face an uncertain process. Federal officials have said they plan to ask the seven governors for input on steps that should be taken to prevent the levels of Lake Mead from continuing to fall. It’s not clear how that process would end, or whether it would spark more disagreements. On Tuesday afternoon, though, one big potential obstacle appeared to be out of the way after Bowers announced at a House committee hearing that he was pulling House Bill 2476. The legislation would have repealed the state’s water-rights forfeiture law, a measure often called “use it or lose it,” under which water rights may be forfeited if water hasn’t been used for more than five years. The bill would have changed the law so that not using a water right wouldn’t result in automatic forfeiture. 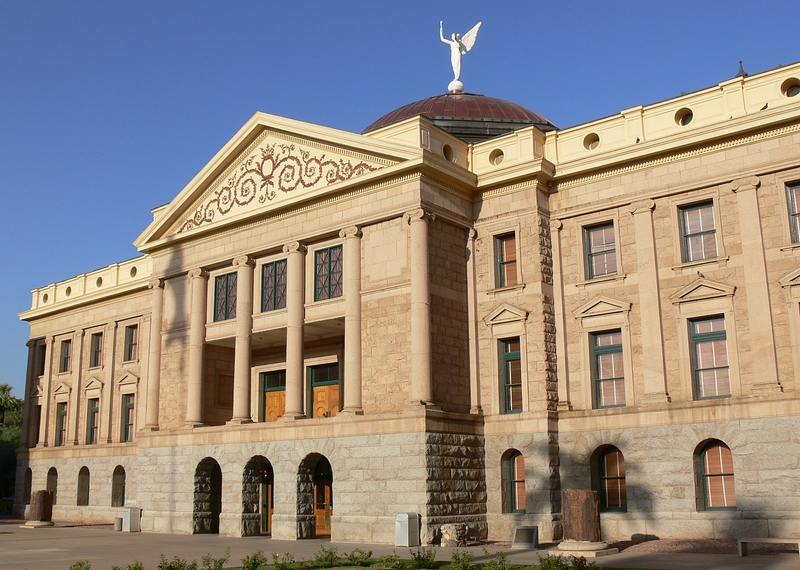 The legislation was aimed at addressing the concerns of farmers and ranchers in the Upper Gila Valley in southwestern Arizona, where the Gila River Indian Community has filed forfeiture cases against some landowners. Bowers said he didn’t want to give the Gila River Indian Community “veto power” over water legislation, but that he also didn’t want to interfere with ongoing litigation that may affect well owners along tributaries of the Gila River. He said those factors, as well as the deadlines the state is facing, led him to hold the bill. Bowers said he still thinks the bill focused on an important issue that has yet to be resolved. It’s the latest hurdle threatening the plan between seven states to take less water from the drought-starved Colorado River, which supplies 40 million people and 5.5 million acres of farmland. Missing the March 4 deadline could allow the federal government to step in and decide the rules. About half of the 15 agreements that Arizona needs to secure among water users will be ready by March 4, said Ted Cooke, director of the Central Arizona Project, which brings Colorado River water to the sprawling cities and farm fields around Phoenix and Tucson. “That’s an artificial deadline, and these are very complex agreements and very complex negotiations, and we will take the time that we need to do them properly,” Cooke told reporters Tuesday following a meeting of water users working on the drought plan. Arizona lawmakers have approved the drought plan, but U.S. Bureau of Reclamation Director Brenda Burman has said the state also must finalize the complex agreements needed to implement it. If that’s not done by March 4, Burman says she will ask governors what should happen next — starting a process that could result in federally mandated cuts instead of the voluntary plans negotiated by the states. That’s particularly worrisome in Arizona, which has the lowest-priority water rights on the Colorado River. Cooke repeatedly declined to speculate on what would happen if the state doesn’t finish its work by the deadline. But he said Arizona would probably be done before the federal government could get very far down an alternative path. After 19 years of extended drought in the Colorado River basin, water users in Northwest Colorado are concerned that the region could become a “sacrificial lamb” as the state seeks to reduce water use to meet downstream demands. As Colorado water officials begin work on a new “demand management” system to reduce water consumption, members of the Yampa-White-Green Basin Roundtable, which met Jan. 9 in Craig, are seeking to make sure the cutbacks don’t disproportionately impact their river basins, including the Yampa, White and Green rivers. 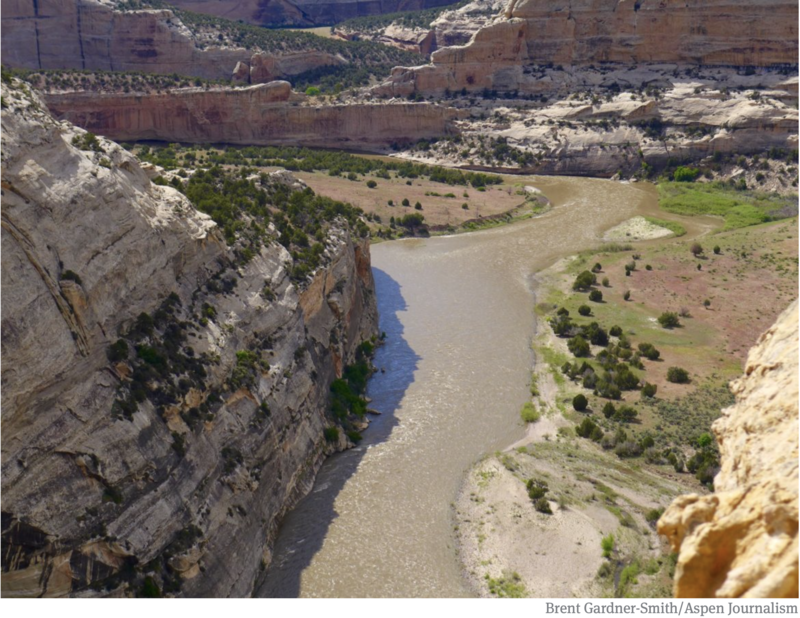 The concerns prompted the creation of a new Big River Committee, which met for the first time Jan. 9, to advocate for the basin on state and regional issues across the Colorado River system. There is relatively little reservoir storage on the Yampa River — less than 72,000 acre feet of water on the main stem and a total of 113,000 acre feet in the basin — compared to other major rivers in the West, meaning most of the water feeds into the Colorado River system and eventually Lake Powell. “Such a small part of our native flow is developed, and there are concerns about how much should fall on the shoulders of our basin to send past the state line when we already don’t use very much,” said Yampa White Green Basin Roundtable Chair Jackie Brown, who is the natural resources policy advisor for Tri-State Generation and Transmission. Indeed, data shows that consumptive water use in the Yampa basin averaged about 182,000 acre feet of water annually between 1990 and 2013, or about 10 percent of the basin’s total 1.74-million acre feet of average annual stream flow, according to hydrologic models used by the state. By comparison, upper Colorado River stream flows averaged about 3.8 million acre feet of water over the same time period, not including the Gunnison River. Consumptive use equaled about 908,000 acre feet, or about 24 percent of the basin’s total water, according to the same data source. Many roundtable members believe the Yampa and White river basins should have the right to develop their water resources further in the future. “We’re the sacrificial lamb if they were to lock things in the way they are now,” said Kevin McBride, general manager of the Upper Yampa Water Conservancy District and a member of the Big River Committee. However, such worries are largely speculative at the moment, as the mechanisms of a demand management program are far from decided and drought contingency planning hasn’t yet been finalized. “This is the very, very beginning of the demand management conversation,” said Brent Newman, the interstate, federal and water information section chief for the Colorado Water Conservation Board. The board has already committed to avoiding “disproportionate negative economic or environmental impacts to any single sub-basin or region within Colorado while protecting the legal rights of water holders,” according to a policy statement adopted by the agency’s board in November. If a compact call were to occur — a demand by lower basin states for more water to be sent downstream according to the Colorado River Compact — then it is widely expected that Colorado water officials will use the prior appropriation doctrine to curtail water use based on seniority. “We want to be proactive and avoid a compact call instead of being reactive and responding to crisis if it came to pass,” Newman said. “Big river” issues aside, Northwest Colorado water users are feeling the squeeze after record-breaking heat and drought in 2018 prompted the first-ever call on the Yampa River. Furthermore, officials at the Colorado Division of Water Resources will examine this year whether the Yampa and the White rivers should be designated as “over-appropriated,” Division Engineer Erin Light told roundtable members at the Jan. 9 meeting. The designation would signal that there is not enough water to meet demands during dry years, and new water rights would be conditional to available water supply. But even as water users start to adjust to the new local reality, roundtable members are preparing for an uphill battle to argue their case regarding demand management. 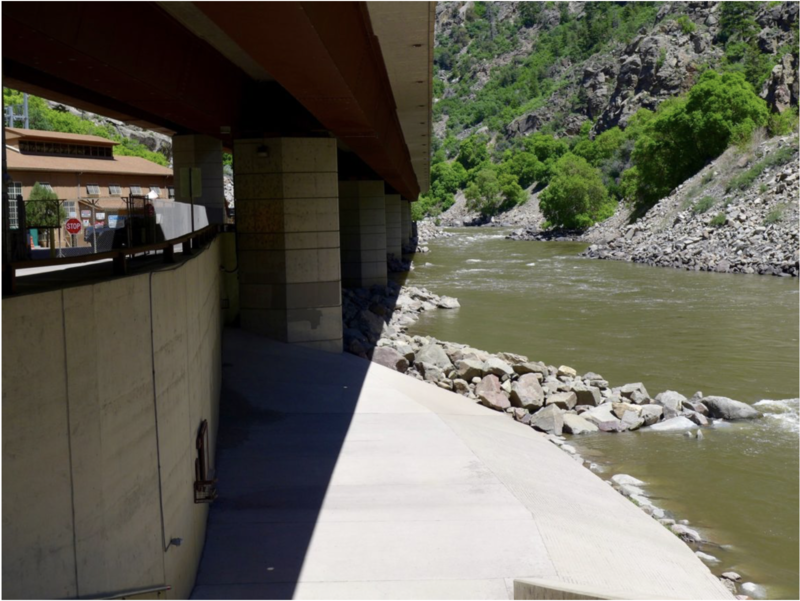 Editor’s note: Aspen Journalism is collaborating with the Steamboat Pilot & Today, the Craig Press and other Swift Communications newspapers on coverage of rivers and water. The Pilot published this story online on Thursday, Jan. 31, 2019 and the Press published it online on Jan. 30, 2019. In that trial, the ditch users argued the ski resort bought a 1- cubic-foot-per-second water right that didn’t totally belong to the seller. They also accused Powderhorn of buying the water on speculation, as it had no way to transport or store the water in question when it asked the state for permission to change the way the water was being used. George Bevan, a former Mesa Creek Ditch Co. president who died in October, sold the water to the ski resort about three years ago. Powderhorn intended to divert up to 150 acre-feet of the water during the winter, transporting it more than a mile away across private property to the H.U. Robbins Reservoir or a small pond at the base of the resort, and use the water for snowmaking. The ski resort planned on purchasing, leasing or condemning rights of way necessary to transport the water, according to previous court documents. Powderhorn has 42 snowmaking acres and wanted to expand its operations. But Boyd ruled the most water that Bevan could have used, historically, for watering his livestock from Oct. 1 to April 1 each year is only 6 or 7 acre-feet, at most. While he decreed that Bevan owned the right to use 1 cubic foot per second of the water Powderhorn purchased from him, he ruled the water right had been used at much lower levels than the ski resort argued. Bevan testified he kept a maximum of 400 cows at the location over the winter, using the water right for livestock. 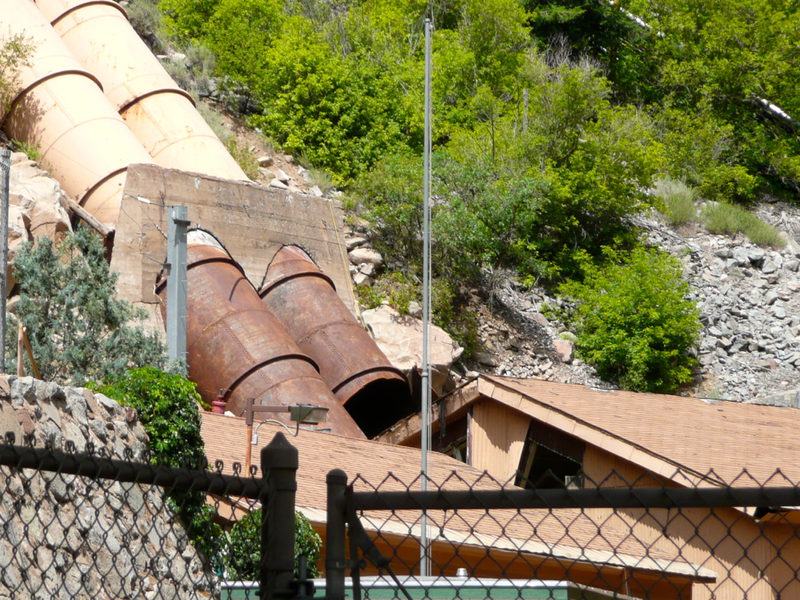 The issue of who owns exactly how much winter water in this section of the Mesa Creek Ditch remains unresolved, but the judge ruled that Powderhorn has the right to use the historical amount of water Bevan used and sold to the resort. The judge also ruled the ski resort is one of only nine original claimants of the winter water right on the ditch, meaning other users who believed they had the right to use the water over time may be doing so illegally. It’s unclear whether Powderhorn will opt to apply to use the lesser amount of water for snowmaking or pursue its plans to transport the water from Mesa Creek to the ski area. The judge denied the ski resort’s application in this instance but did not prevent it from reapplying in a future application. 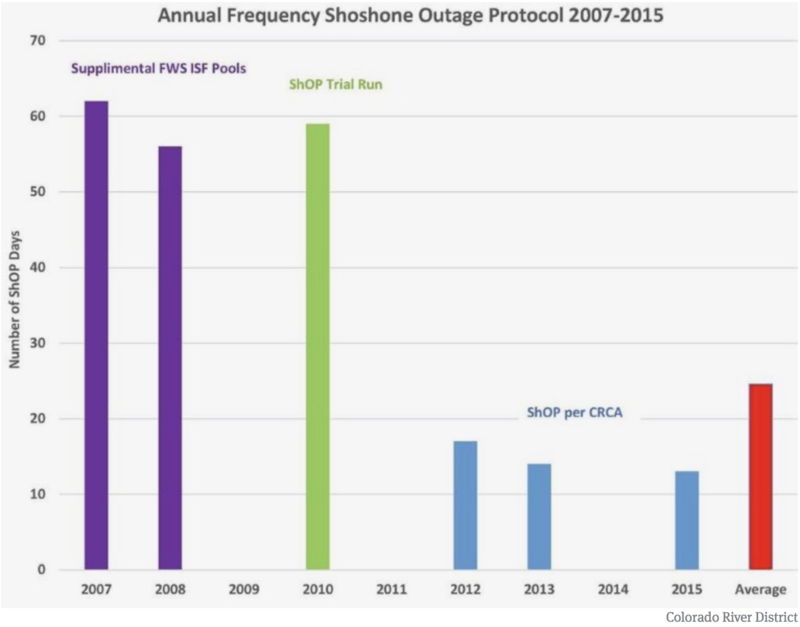 The judge’s ruling leaves the ski resort with the option of reapplying to use 7 acre-feet of water over the course of a winter for snowmaking, one-fifth the amount Powderhorn wanted to use. Bureau of Reclamation Commissioner Brenda Burman announced today the release of the Colorado River Basin Ten Tribes Partnership Tribal Water Study that was conducted collaboratively with the member tribes of the Ten Tribes Partnership. 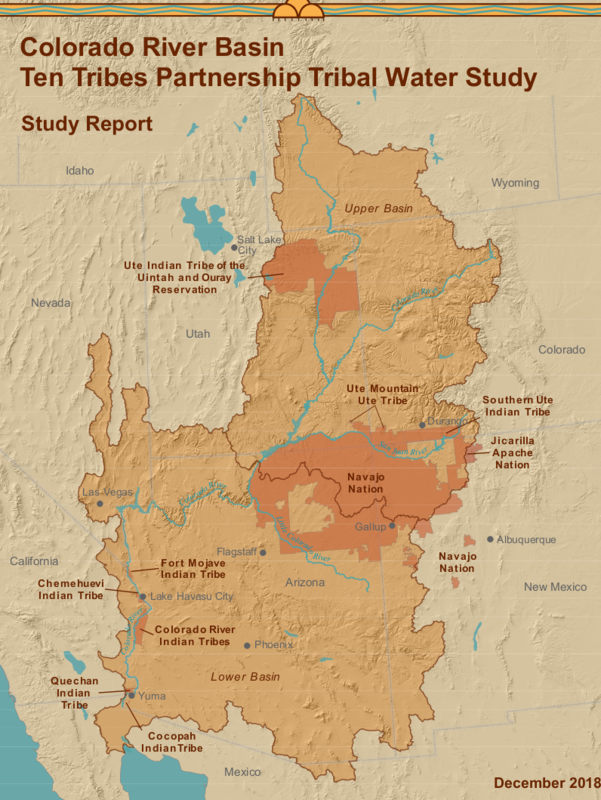 The study documents how Partnership Tribes currently use their water, projects how future water development could occur and describes the potential effects of future tribal water development on the Colorado River System. The study also identifies challenges related to the use of tribal water and explores opportunities that provide a wide range of benefits to both Partnership Tribes and other water users. While not all federally-recognized tribes in the basin are members of the Ten Tribes Partnership, the Partnership Tribes have reserved water rights, including unresolved claims, to potentially divert nearly 2.8 million acre-feet of water per year from the Colorado River and its tributaries. In many cases, these rights are senior to other uses. The study is the outcome of a commitment between Reclamation and the Partnership Tribes to engage in a joint study to build on the scientific foundation of the Colorado River Basin Water Supply and Demand Study, published by Reclamation in 2012. The study highlights tribal observations and concerns, including lack of water security, incomplete distribution systems and regulatory and economic challenges to developing water systems in geographically diverse areas. The Ten Tribes Partnership was formed in 1992 by ten federally recognized tribes with federal Indian reserved water rights in the Colorado River or its tributaries. Five member tribes are located in the Upper Basin (Ute Mountain Ute Tribe, Southern Ute Indian Tribe, Ute Indian Tribe, Jicarilla Apache Nation and Navajo Nation) and five are in the Lower Basin (Fort Mojave Indian Tribe, Colorado River Indian Tribes, Chemehuevi Indian Tribe, Quechan Indian Tribe and Cocopah Indian Tribe).